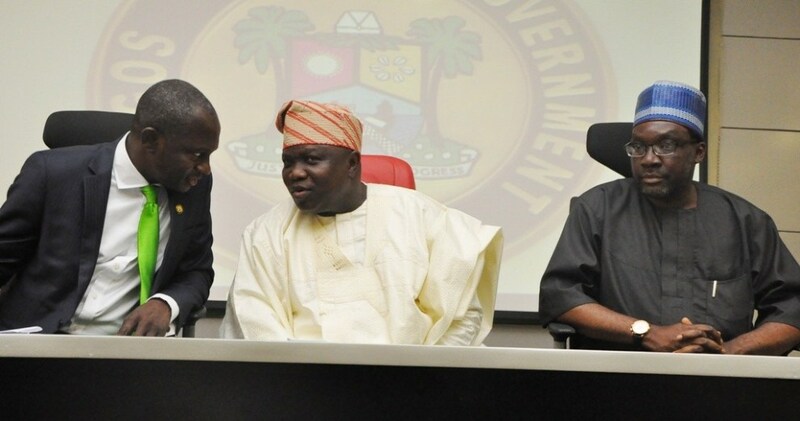 Whereas many followers of Lagos State politics thought that the wind of Governor Akinwunmi Ambode’s loss in the recent primaries to Babajide Sanwo-Olu had settled until Wednesday when his Commissioner for Energy and Mineral Resources, Wasiu Oluwo, resigned and defected to the opposition Peoples Democratic Party (PDP). A clear suggestion to the fact that the governor may shock everybody sooner than later emerged in Oluwo’s terse resignation letter, which he submitted to the APC chairman in Lagos State, explaining that his decision was based on the conduct of the party’s primary election which resulted in the defeat of Lagos State governor, Akinwunmi Ambode. Business Hilights gathered that the letter to the chairman of the party, dated December 3, read in part, “My decision to resign is not unconnected with the events of the last few weeks which have created a heavy moral burden for me. I have found it rather difficult to come to terms or rationalise the party’s conduct of the October 2018 primary election which were largely characterised by massive voters’ disenfranchisement, intimidation, violence, undue influence and non-compliance with all known principles of democracy. Oluwo, a financial technocrat, had worked with BGL Securities before veering into politics. Already, the Lagos State chapter of the PDP and its governorship candidate, Mr. Jimi Agbaje, have hailed the defection of the Commissioner for Energy and Mineral Resources, saying the decision of the commissioner to resign his position and his membership of the All Progressives Congress was due to the failure of the ruling party. “Babylon is falling! APC is crumbling. The commissioner has displayed uncommon courage by the decision. He is a good example for others to follow as this empire begins to fall to pieces.